The result for NIMHANS Entrance Exam 2019 has been released. Candidates can check the same from the official website i.e. nimhans.ac.in. The NIMHANS Entrance Exam 2019 for session 1 is scheduled on March 30 & 31 for Ph.D., Super specialty, Postdoctoral and Postgraduate Courses and on April 21, 2019, for B.Sc course. The Institute conducts NIMHANS entrance exam twice a year for admission to programs such as Ph.D., various Post Doctoral fellowship, and Post MD/DNB courses. The candidates can check complete details on NIMHANS entrance exam 2019 including eligibility criteria, application process, exam pattern etc from this page. Latest: Result for NIMHANS Entrance exam 2019 Session 1 has been released. Click Here to check the same. Selection to programs offered at the institute is purely on the basis of the candidate’s performance in the online entrance test. Those who appear for the exam and get qualifying marks can attend counseling to give preferences of the subject and document verification. The candidates can check the complete schedule for NIMHANS 2019 entrance exam for Session 1 and 2 from the table below. Date of Result To be announced! To be announced! Click Here to download the complete exam schedule. The age is calculated as on 01.07.2019 for session 1 and 01.01.2020 for session 2. For postgraduate medical and Superspeciality courses – age should not be more than 32 years for MBBS degree holders and 35 for PG medical degree holders. The maximum age limit for applying to M.Sc. in Biostatistics course is 30 years and relaxable by a maximum of 3 years for OBC candidates. For B.Sc. in Nursing, B.Sc. in Radiography and B.Sc. in Anaesthesia Technology courses, age of the candidates should be between 17 and 25 years. Age is relaxable by a maximum of 5 years in the case of SC/ST candidates and by a maximum of 3 years for OBC candidates, for the courses where the seats are reserved for OBC/SC/ST only. Age should not be more than 45 years as on the date of commencement of courses in case of sponsored/ deputed candidates. Employees of NIMHANS applying for Ph.D. should have at least 10 years of service left before registering for Ph.D.
Age is relaxable by a maximum of 5 years in the case of PWD candidates, for more details refer to Persons with disability catagery sub-section. 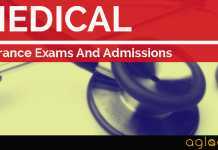 MBBS degree from a recognized University or from any other University recognized as equivalent thereto by NIMHANS and by the Medical Council of India. 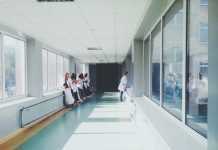 The candidate should have completed compulsory rotation internship of one year after MBBS or its equivalent as recognized by Medical Council of India on or before the date of commencement of course. A certificate to that effect has to be produced. The candidate should have permanent registration with State Medical Council. Candidates who do not submit the certificate of completion of internship on the day of commencement of course will not be admitted under any circumstance. Candidates with M.Sc. / MA/ MSW/ BAMS / BE/ B.Tech/ B.Sc. should have passed the requisite examination from a University recognized by the University Grants Commission (UGC) or the Rehabilitation Council of India (RCI) with not less than 55% of marks in aggregate on or before the date of interview/ admission. Candidates who have appeared for the qualifying examination and are awaiting results, may also apply. However, such candidates will be eligible to appear for the interview/ admission only if they produce the proof of having passed the examination in writing. In case, grades are awarded in lieu of marks in the qualifying examination, candidates have to produce a certificate from the University clearly stating the range of marks into which each of the grades fit, failing which, such applications will be rejected. Candidates with Master’s degree obtained through research and awarded on the basis of the evaluation of the thesis (from a University recognized by NIMHANS which does not award marks at the master’s level) are also eligible to apply for Ph.D. Program. Candidates with PUC or 10 + 2 with Physics, Chemistry, Biology and English with 45% aggregate in the above subjects can apply for B.Sc. in Nursing course. Candidates with PUC or 10 + 2 with English, Physics, Chemistry, Mathematics and Biology or job oriented diploma courses from a recognized board with an aggregate of 45% can apply for B.Sc. in Radiography course. Candidates with PUC or 10 + 2 or equivalent with a Science group having secured an aggregate of 45% in Science subjects for B.Sc. in Anaesthesia Technology course. A relaxation of 5% marks in aggregate will be given for candidates belonging to SC/ST category. The application form for NIMHANS entrance exam 2019 was released online. The candidates were have to submit the NIMHANS 2019 Application Form along with the necessary documents and photographs. Candidates can apply for maximum three (03) courses through a single application form. At the time of filling in details in the NIMHANS Application Form, the aspirants need to select the test city preference. The choice of test city once chosen and submitted by the candidate is final and cannot be changed. After filling in all the necessary details, the aspirants have to pay the required amount of application fee. The aspirants need to pay the following amount of Application Fee as given in the table below. Those who successfully register for the entrance exam before the last date by making complete payment are issued the NIMHANS 2019 Admit Card. The aspirants is now able to download their admit card through online mode only. The candidates have to carry the print out of the NIMHANS Admit Card on the day of the test. It will consist of date and timings of the test, the address of the test center, etc. 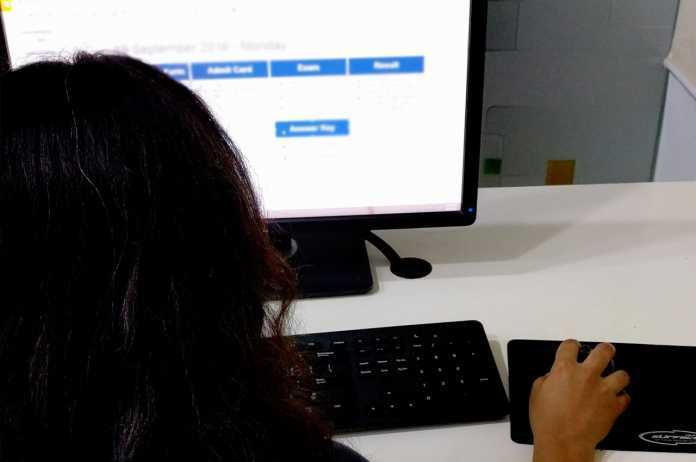 No hard copy of the NIMHANS 2019 Admit Card is going to be sent to the candidates by post. Candidates who have applied for the NIMHANS Entrance exam can now practice the mock tests from the official website. Mock tests will help the candidates to practice the questions in the format of examination and get an idea about how the Entrance exam will appear. Mock Test: Click here to practice Mock tests. For PG courses: Bengaluru, Chennai, Cochin, Delhi, Hyderabad, Kolkata and Pune. The Institutes conducts an Online entrance examination, NIMHANS entrance exam. The test consists of multiple choice objective type questions which a candidate need to solve in a duration of 90 minutes. There will be 100 MCQ type questions. There is a negative marking of 0.25 marks for an incorrect answer. 9 Postdoctoral Fellowship courses under Psychiatry (except in Geriatric Psychiatry and Addiction Medicine Courses) in two stages: First Stage-Multiple Choice Questions (MCQ) for 80 Marks Second Stage-Clinical / Practical / Lab Based Assessment (OSCE) for 20 Marks Choice of course will be given to candidates based on the order of merit in the entrance examination, the candidate securing highest marks will have the first option of selecting any of the applied courses from amongst 9 Postdoctoral Fellowship courses under Psychiatry. 6 Postdoctoral Fellowship courses under Department of Neurology. DM in Neuroanaesthesia & Neurocritical Care and Postdoctoral Fellowship in Neuroanaesthesia & Postdoctoral Fellowship in Neurocritical Care courses. DM in Neuropathology and Postdoctoral Fellowship in Neuropathology Courses. DM in Child and Adolescent Psychiatry and Postdoctoral Fellowship in Child and Adolescent Psychiatry Courses. DM in Geriatric Psychiatry and Postdoctoral Fellowship in Geriatric Psychiatry Courses. DM in Addiction Psychiatry and Postdoctoral Fellowship in Addiction Medicine Courses. DM in Neurology with PG qualification. 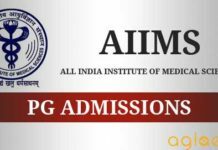 Candidates possessing PG qualification in Medicine (MD/DNB) and Surgery (MS/DNB) will be considered only under PG category for admission to DM in Neurology and M.Ch. in Neurosurgery courses, respectively. If any candidate applies under the MBBS category, then his/her their candidature will be disqualified. The selection criteria for the courses offered at NIMHANS is different for each course. The candidates can check the selection process for each course from below. Postdoctoral Fellowship Course Online Entrance Test + Verification of Original Certificates on the day of admission. M.Phil. Courses Online Entrance Test + Verification of Original Certificates on the day of admission. M.Sc. Courses Online Entrance Test + Verification of Original Certificates on the day of admission. Postgraduate Diploma Course Online Entrance Test + Verification of Original Certificates on the day of admission. The result for NIMHANS 2019 entrance exam will be announced online at the Institute’s official website. The selection of candidates for admission in the courses offered at NIMHANS is done on the basis of their performance in the entrance examination. After the declaration of the result, the Institute prepares a course wise and category wise merit list for all the courses. Those whose name is included in the merit list are then eligible to appear for admission in all courses and interview in case of Ph.D.
For more details regarding the NIMHANS Entrance Exam 2019 – Download Information Brochure | Admission Notification. Anyone has any ideas about the cut-off scores for PhD and M.Phil?